If it’s up to Colombian authorities, the days of “Otoniel,” the leader of neo-paramilitary group the Urabeños, are counted. Following dozens of arrests across the country, Police say a manhunt is underway in the drug lord’s stronghold. Otoniel, whose real name is Dario Antonio Usuga, is one of the most senior members of the neo-paramilitary organization that has become the most powerful drug trafficking group in Colombia in its 10 years of existence. Following the arrest of Urabeños founder “Don Mario” in 2009 and the death of his brother “Giovanny” three years later, Otoniel assumed absolute control of the neo-paramilitary drug trafficking organization he grew even larger than the 50-year-old rebel group ELN. In order to end Otoniel’s reign over drug trafficking along Colombia’s Caribbean and Pacific coasts, Defense Minister Juan Carlos Pinzon announced a manhunt in the region that gave the name to the drug trafficking organization, Uraba. The region that spreads over the states of Cordoba, Antioquia and Choco is the birthplace and the heartland of the Urabeños. Earlier in the history of the Urabeños, it was there where Don Mario was arrested and where Giovanny was killed. According to Pinzon, Uraba will also be the place where within two months Otoniel will find his criminal empire severely damaged. The minister announced on Friday that he had sent more than a thousand men to the city of Turbo and the neighboring municipality of Chigorodo, assuming this is where the drug lord has been hiding from the authorities. The police, army, intelligence and navy officials make part of the Neptune Joint Counternarcotics Task Force, which was inaugurated to begin an extensive manhunt for Otoniel and hit the Urabeños where they are strongest. Neptune, allegedly supported by foreign authorities, has began an operation called “Taking over Uraba” which will last 60 days initially, but might be extended if necessary. According to Colombia’s Chief of Police, General Rodolfo Palomino, among these primary tasks is also the arrest of killing of Otoniel, who has been able to stay out of the hands of authorities since 1991 when he demobilized from the EPL guerrilla group only to join the AUC paramilitaries that were forming in his home region at the time. “We are closer than ever to the capture of Otoniel. Surely the local community, which has been victimized, will be helping us,” said Palomino who reiterated that the authorities have offered a $400,000 reward for information leading to the arrest or killing of the Urabeños’ supreme leader. The Urabeños, and in particular Otoniel, have suffered a number of major blows since the beginning of last year. The drug lord’s brother and sister were arrested last year, as well as one of his cousins, and his partner, Venezuelan model Blanca Zenobia Madrid, was incarcerated last week on conspiracy and money laundering charges. Additionally, authorities last week announced the arrest of “Torta,” who is accused of being one of Otoniel’s second-in-command and the possible link between the drug trafficking organization and personalities in politics and justice who have previously frustrated an effective prosecution of top Urabeños members. Over the weekend, more than 32 alleged members of the neo-paramilitary group were arrested in Cucuta, the main city on the Venezuelan border, where the Urabeños and other illegal armed groups are trying to control the smuggling of drugs and contraband. 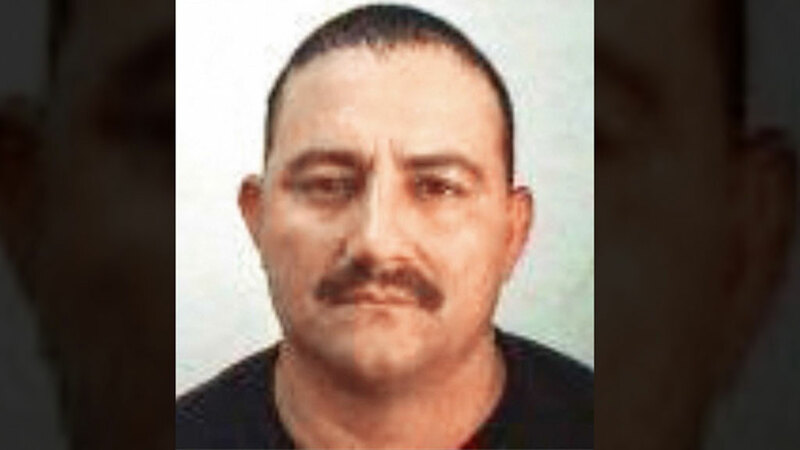 Otoniel began his criminal career with the EPL guerrilla group in the 1980s. After his demobilization with the EPL in 1991, Otoniel joined the paramilitary umbrella organization AUC where he began working under “Don Mario,” who would later become the founder of the Urabeños. It was in this period that the group of paramilitaries active across the country began being referred to as the Urabeños, meaning “the guys from Uraba” because of their Urabeño accent. The guerrilla-turned-paramilitary demobilized again in 2005 when his Centauros Bloc took part in the peace process bartered by former President Alvaro Uribe. However, like thousands of other members of the AUC, Otoniel did not surrender his weapons or reintegrate into society, but joined Don Mario who was founding the “Autodefensas Gaitanistas” to assume control of the drug trafficking routes left unattended by the paramilitaries. Otoniel and his brother became the second line of command of the Urabeños until the arrest of Don Mario. When Giovanny was killed in a 2012 police operation, Otoniel assumed control and immediately imposed a major economic shut-down along the Caribbean coast, all the way down to Medellin, to avenge his brother’s death and show the organization hasn’t weakened. In fact, following Otoniel’s rise to become the supreme leader of the Urabeños, the group became even stronger by reducing rival neo-paramilitary faction Los Paisas to virtually nothing and taking over territory of drug cartel “Los Rastrojos” along the Pacific coast. The group is presumed to have extensive ties to regional politicians and top judicial executives as was proven with the arrest of the brother of then-Justice Minister Fabio Valencia for attempting to remove Urabeños members from suspect lists.